Jeff kicks off our day with a short video. 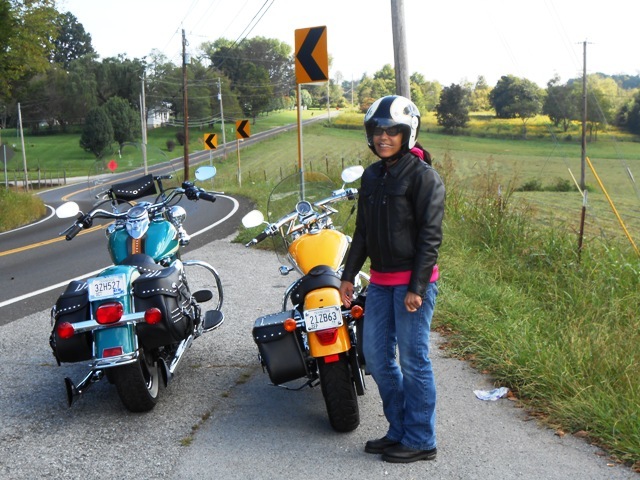 On Wednesday, September 17, 2014, we took a Day Ride to Kingsport, TN. We left our home in North Knoxville at 10:30am. The skies were blue and it was cool, in the low 60’s. We rode north on Broadway to Halls where we took 131 through Lutrell. On 131 between Lutrell and Washburn. We continued on 131 to Washburn where we stopped to fill our tanks and get our morning snack. After our snack, we continued north on 131 riding through Thorn Hill and onto Treadway. A beautiful home on 131. 31 North off 131 takes us to Sneedville. From Treadway, we took 31 north into Sneedville. Pamo waits while Jeff snaps photos. 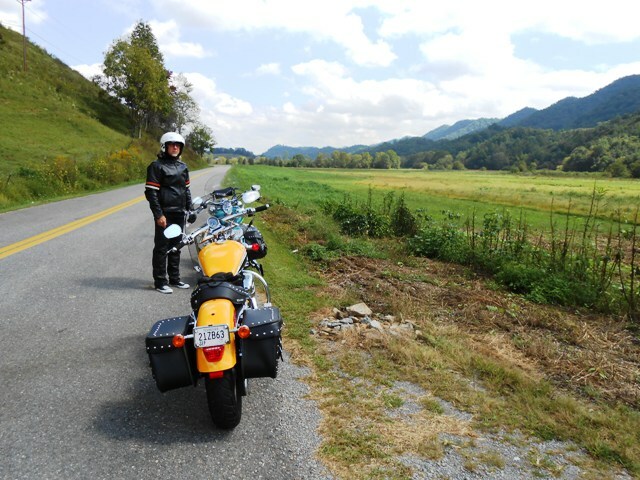 After riding through Sneedville, we took 33 north through Kyles Ford and on into Virginia. There’s Jeff waiting on Pamo to finish taking photos. 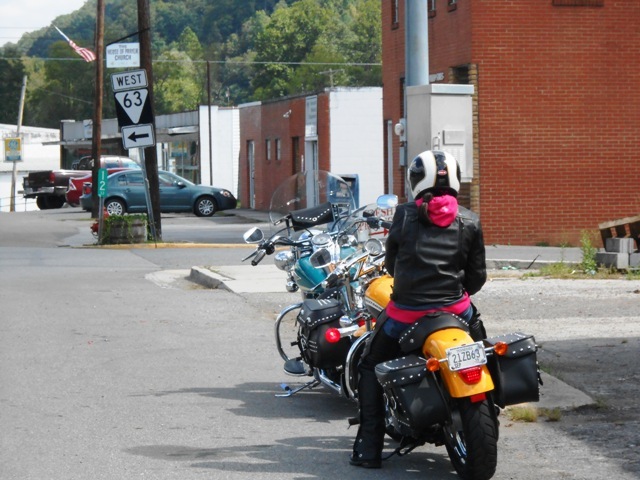 In Virginia, we took 23 south through Gate City and on into Kingsport. 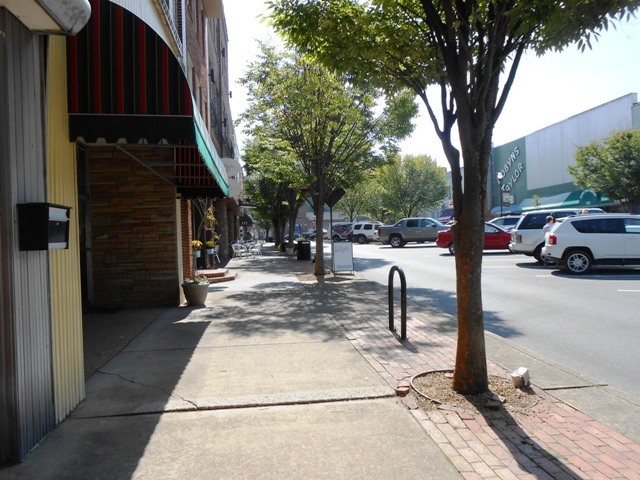 In Kingsport, we rode downtown to visit Cycle City, owned by our friend Duane Easter. 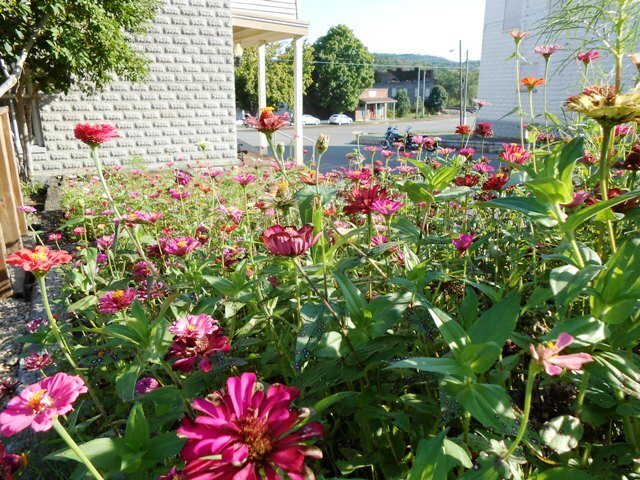 Cycle City in Kingsport, TN. 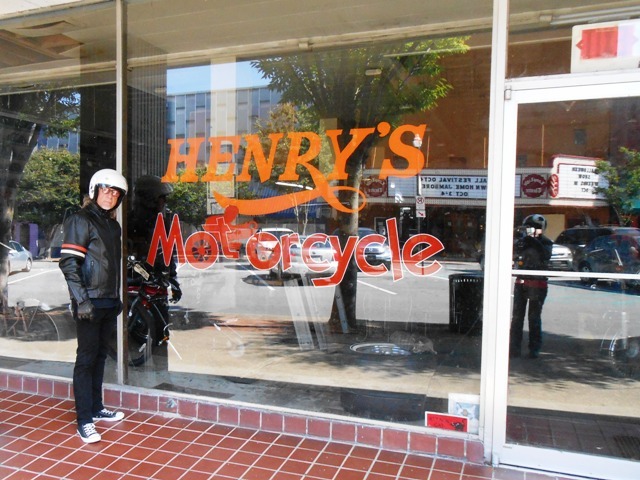 Duane was gracious, as always, showing us around the shop and talking motorcycles. 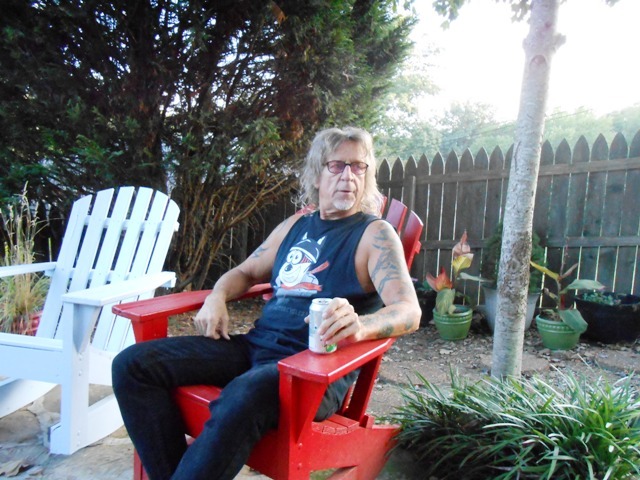 Thanks Duane for your hospitality! 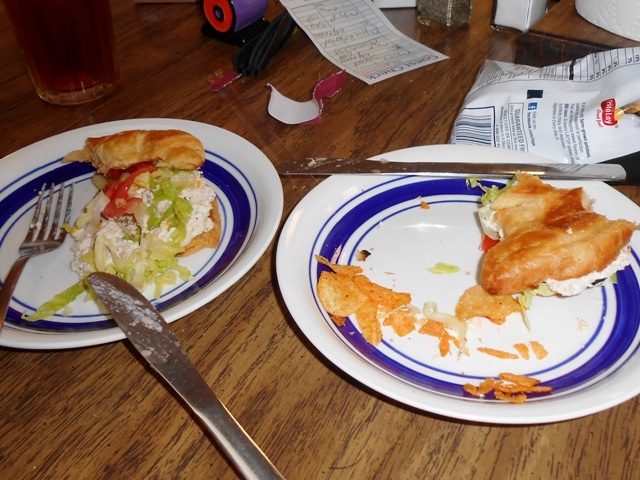 After our visit, we rode a few blocks downtown and stopped for lunch at Two Dads Cafe. 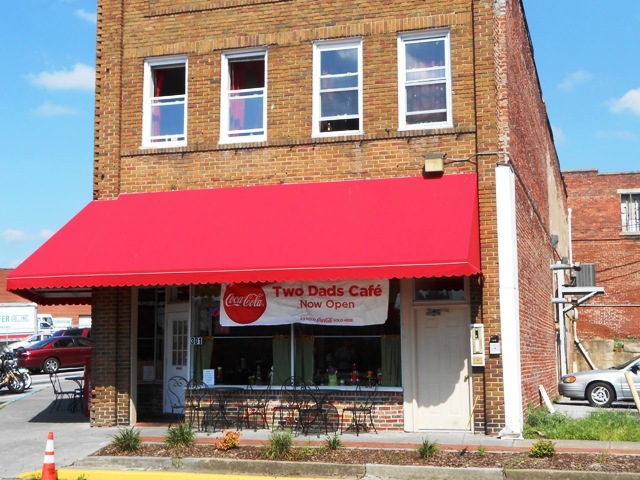 Two Dads Cafe in Kingsport, TN. Friendly folks at Two Dads. Lunch was great but we forgot to get a photo until we were almost finished. Oops! 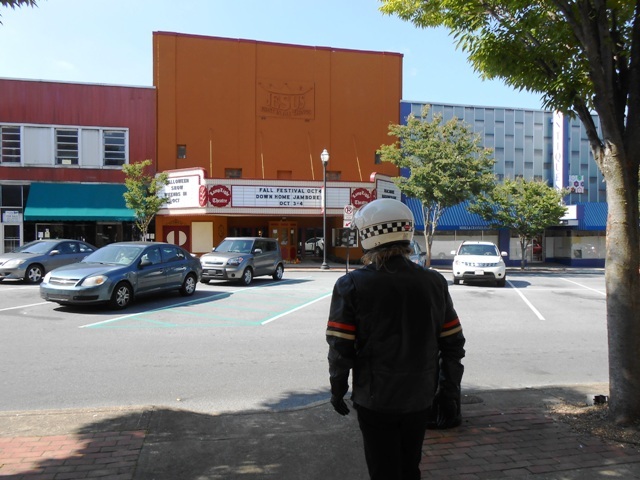 After lunch, we got back on our bikes and rode a few more blocks downtown to walk a bit and look around. 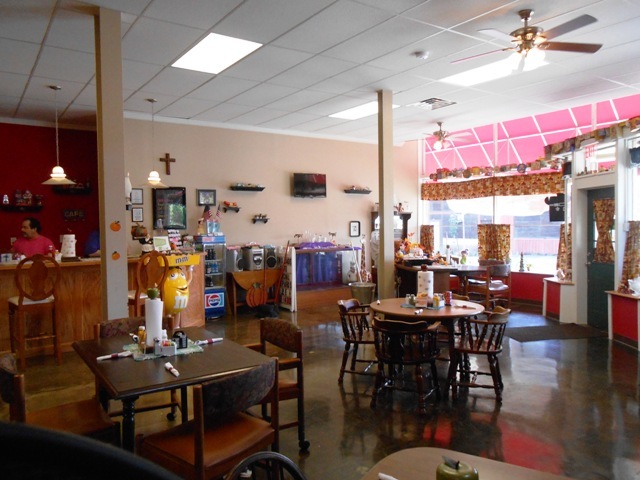 Henry’s is a great place to visit in Kingsport. We got back on our bikes and headed south on 93. 93 took us south through Fall Branch and on toward Greeneville. On the roadside route 93. 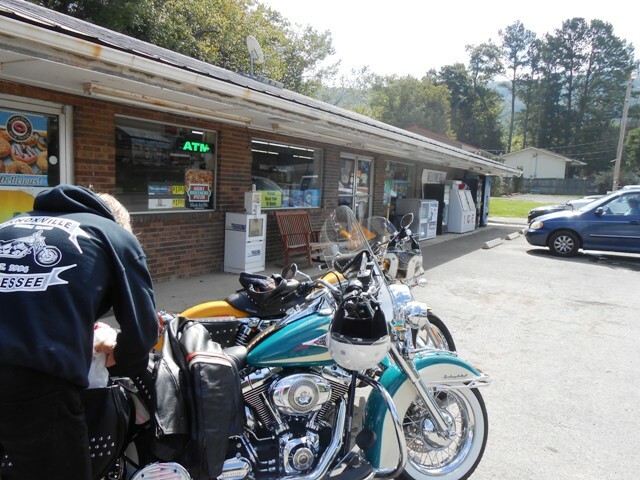 We stopped in Greeneville for fuel and a snack. 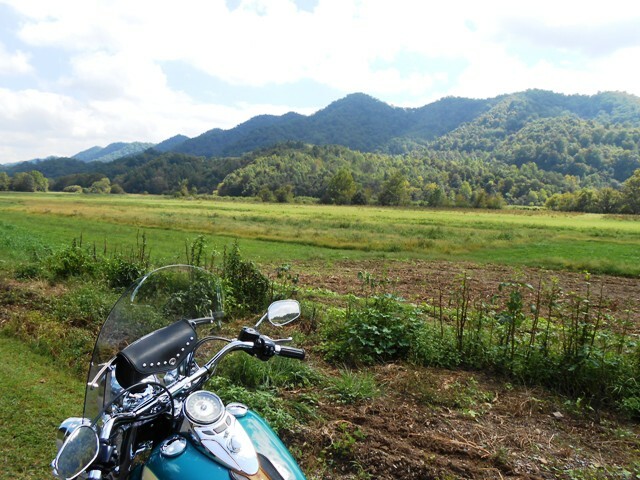 We met a few other guys on bikes, shot the bull for a few minutes, then got back on our bikes and headed south on 11E. 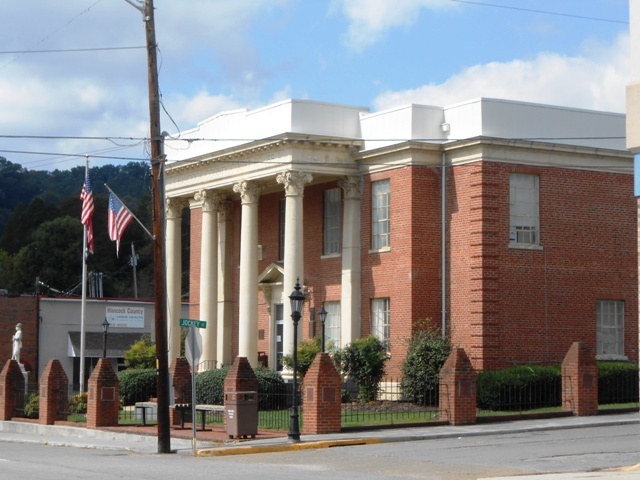 We rode through Greeneville, Mosheim and into Bulls Gap. 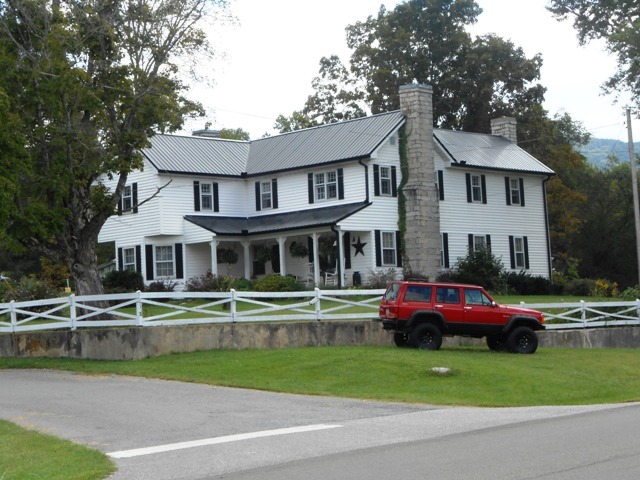 In Bulls Gap, we stopped to see the Archie Campbell Home Place and Museum. 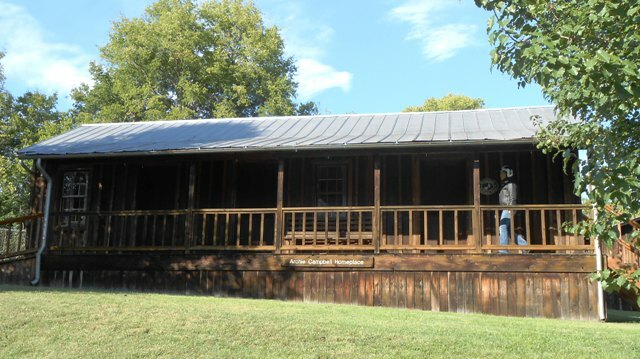 Archie Campbell museum in downtown Bulls Gap. It was around 5:30 pm when we got there so the museum was closed. 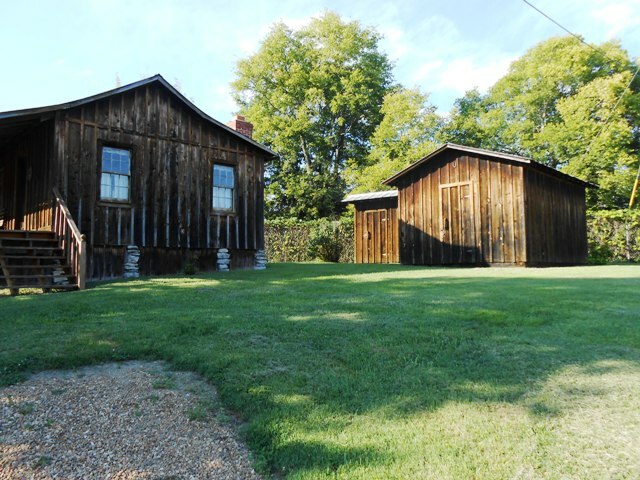 We walked around the museum area and up to the Archie Campbell homestead. We truly enjoyed imagining what it was like back in its hey day. 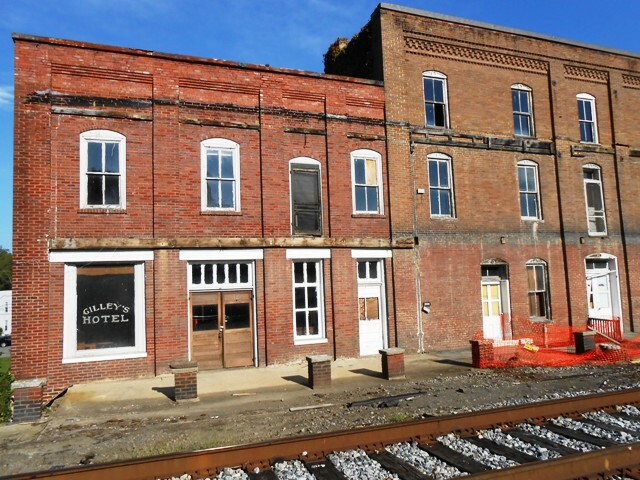 The railroad had a large influence on early time Bulls Gap. 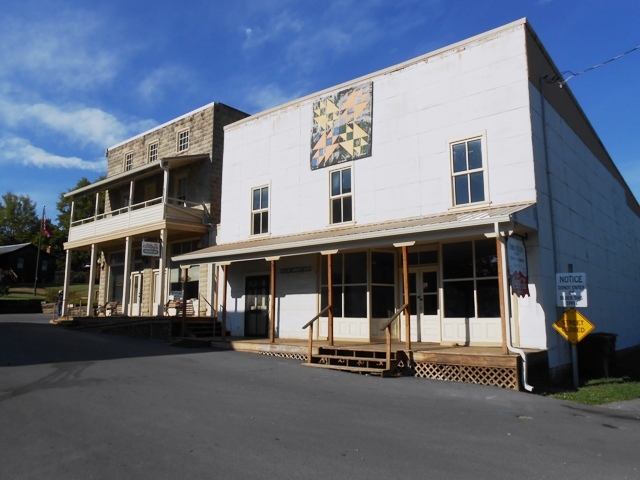 A large hotel that was bustling back in the hey day of Bulls Gap. 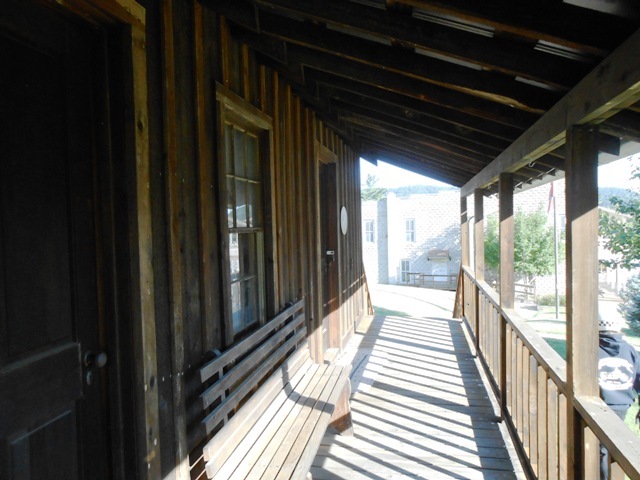 Heading toward Archie Campbell’s Homestead next to the museum. On the porch of Archie Campbell’s Home. 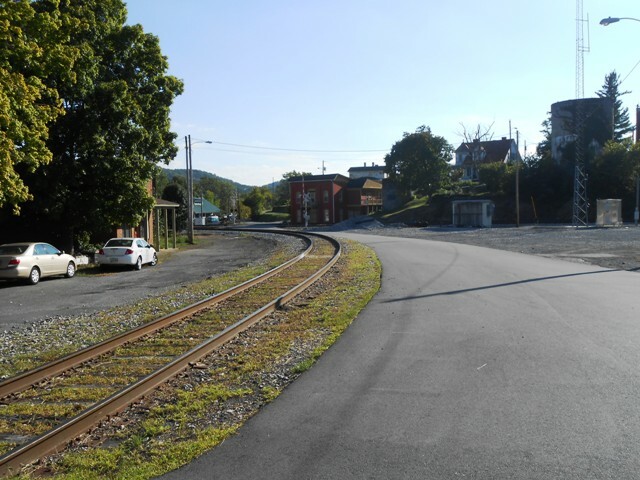 The area here in downtown Bulls Gap is nicely maintained. 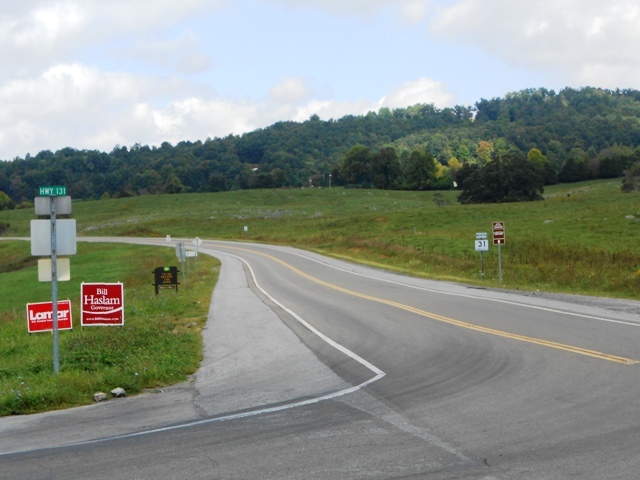 From Bulls Gap, we continued south on 11E, rode through Morristown, Jefferson City, and back into Knoxville. We got back home at 6:45 pm and our total mileage was 228 miles. 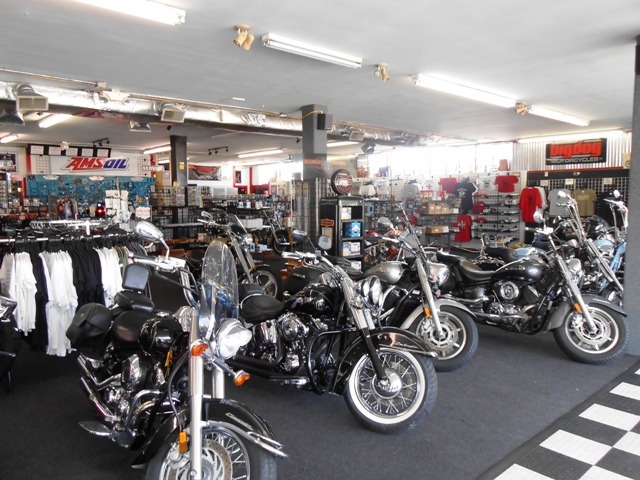 You can see our full list of Day Rides HERE. 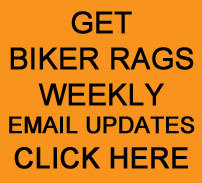 This entry was posted in Day Ride and tagged Biker Rags, Bulls Gap, Day Ride, Kingsport. Bookmark the permalink.